Better-Than-Movie-Theater Homemade Popcorn... Seriously! Mama Say What?! | Mama Say What?! When my brother and sister in law’s family started cleaning up their diet and eating gluten-, dairy- and soy-free (due to food allergies) they also started eating organic foods and tried to cut out all processed foods. 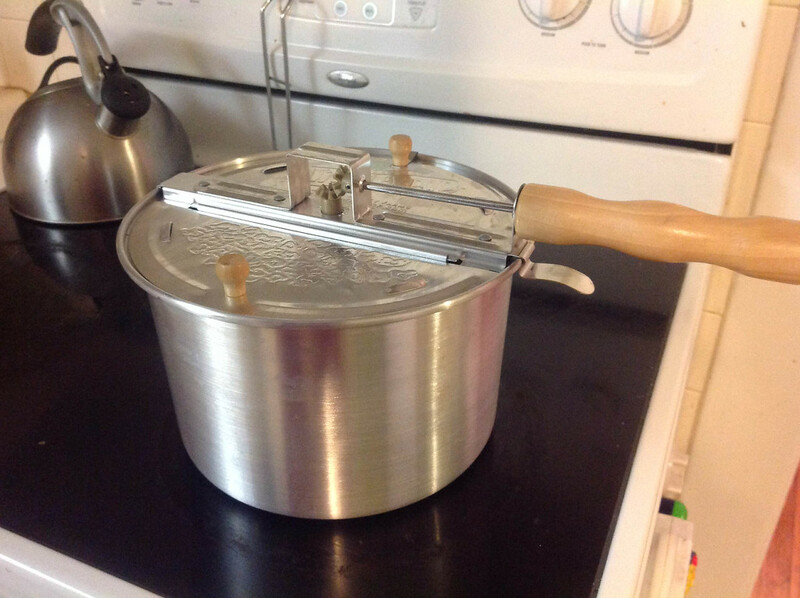 I was recently at their house for my niece’s birthday party and saw my brother-in-law was making some homemade popcorn on the stove for a party snack. “This is better than movie theater popcorn” he said. I stifled a laugh and rolled my eyes at him. “Okay Josh, sure” I said. Now I don’t go to the movies often, but when I do, I really look forward to a huge tub of greasy and buttery yellow popcorn. I don’t love the grease and butter left on my hands afterwards. Movie theater popcorn is about as “un-clean” as you can get with the artificial butter and mounds of salt, but boy, oh boy, is it good! I’m sure a lot of you would agree with me. 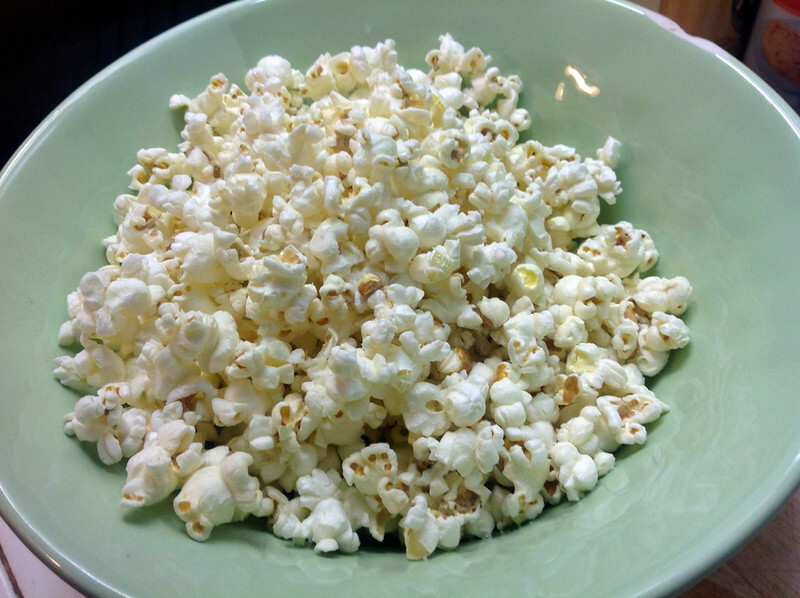 Josh told me that they hadn’t really found a tasty substitute for popcorn (and wanted to shy away from the boxed stuff) until they found this recipe. I tried some and was honestly blown away. It seriously IS better than movie theater popcorn and the best part is that it’s organic, homemade and uses only three ingredients. My husband refused to try some because he wouldn’t be able to stop eating it. I am a little embarrassed to tell you how much I actually ate. I borrowed a popper from my mother-in-law and bought the three ingredients I needed to make it from Trader Joe’s that week and made my own batch a few days later. It was amazing! 1. 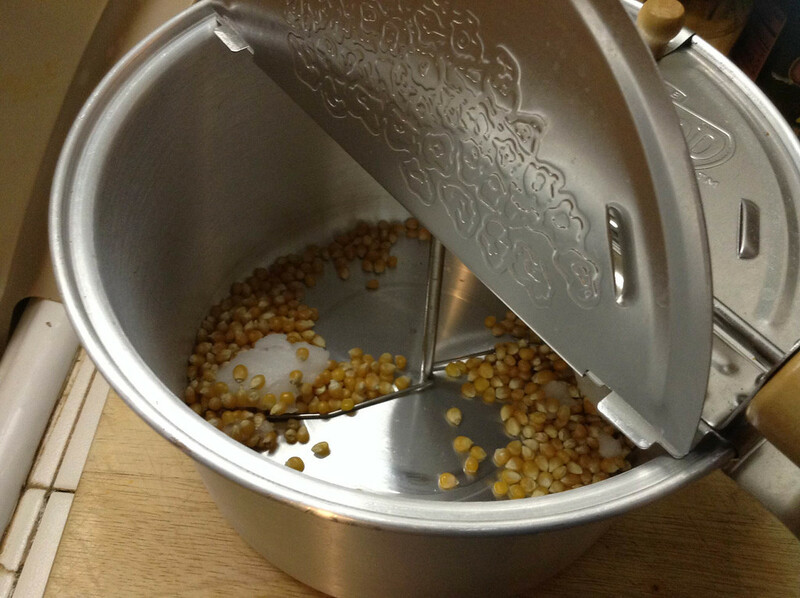 Add ½ cup of popping corn to the popper and 1-3 TBS of coconut oil (By the way, this makes a HUGE amount. I mean, I could still eat it all myself in one sitting, but ¼ cup is a much better serving size and still plenty for one person). 2. Put the popper on the stove top on medium high. 3. Start cranking the handle and continue to crank it constantly until the popcorn stops popping. Depending on how long it takes your stove to heat, this will probably only take about 3-4 minutes. 4. Turn off the heat and pour the popcorn into a bowl. 5. Toss with sea salt – as much or as little as you’d like. *Please note – as mentioned above, you can certainly make less popcorn, but do not make more than ½ cup at a time. Your popper will overflow and some pieces might not pop. You’ll also make a big mess. Take this from me! Added by MaryEllen M. on November 13, 2014. 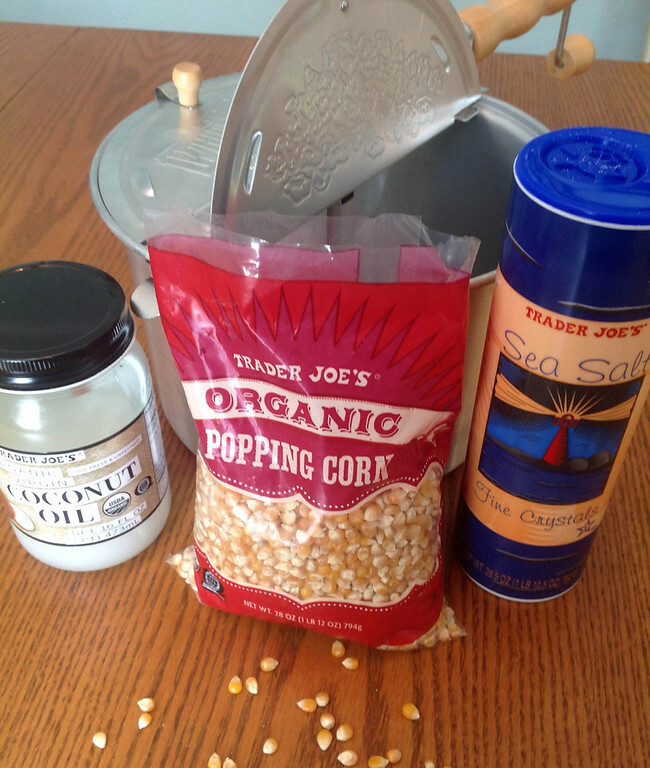 2 Responses to Better-Than-Movie-Theater Homemade Popcorn… Seriously! Does it have a coconutty taste? My husband HATES coconut and “swears” he can taste the coconut oil when I use it for baking or grilling up grilled cheese sandwiches. Michelle – I don’t think it has a *strong* coconutty taste because I’m not a huge fan of coconut myself, but I love it. But yeah, if he’s sensitive to it, he might figure it out!